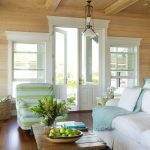 Forget spring, I am ready for summer after seeing this delightful beach house in Kennebunkport, Maine designed by Lisa Teague! 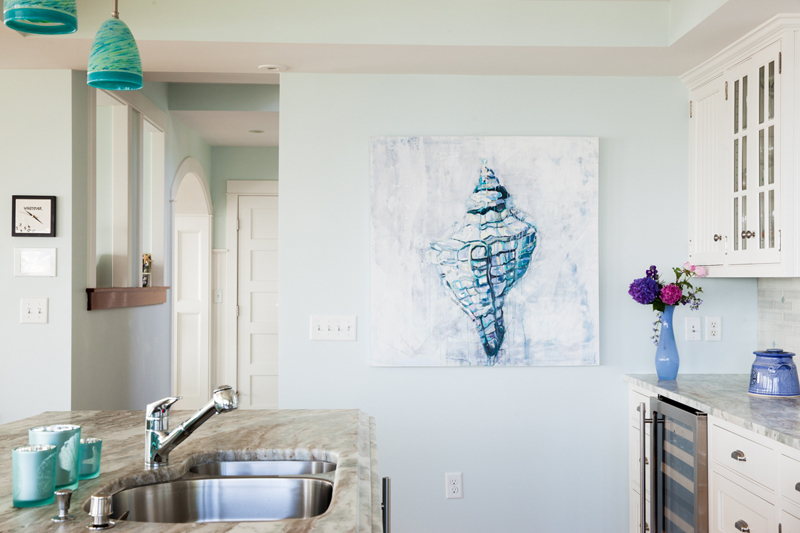 The interior designer and color expert based out of Portsmouth, New Hampshire filled the home (captured by photographer Emily O’Brien) with cheery seaglass hues and relaxed, laid-back style perfect for a coastal retreat. 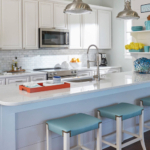 I’m absolutely in love with the kitchen and the pops of color from the stunning glass pendants, turquoise island and slipcovered stools. 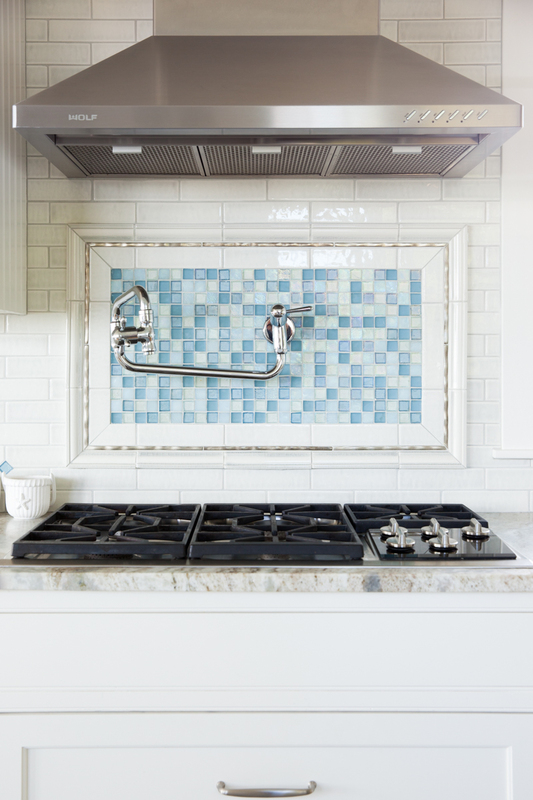 The rest of the home has this same crisp yet carefree vibe…scroll on for more! 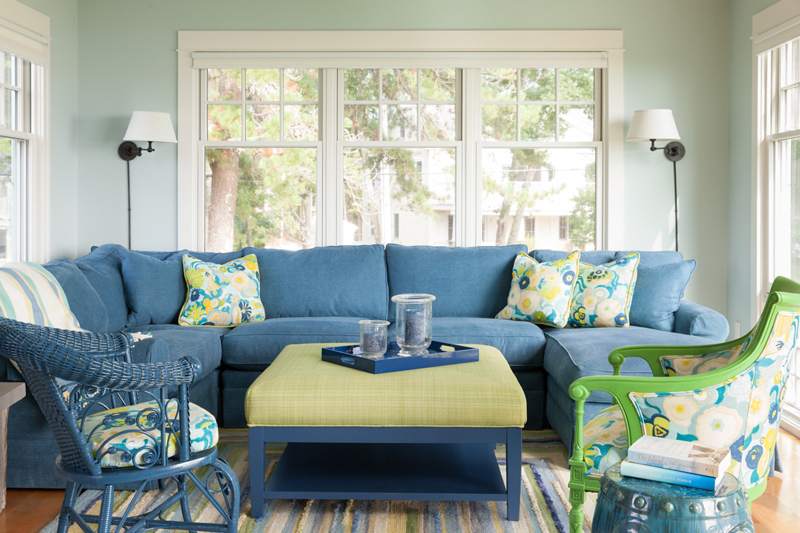 Love the vibrant floral fabric anchored by the comfy blue sectional. Great rug too! Another great rug. And that water view….wow! 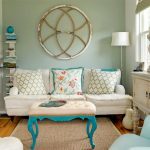 If you loved this home as much as I did, you’ll definitely want to take a look at Lisa Teague’s portfolio and Instagram for more eye candy and inspiration. 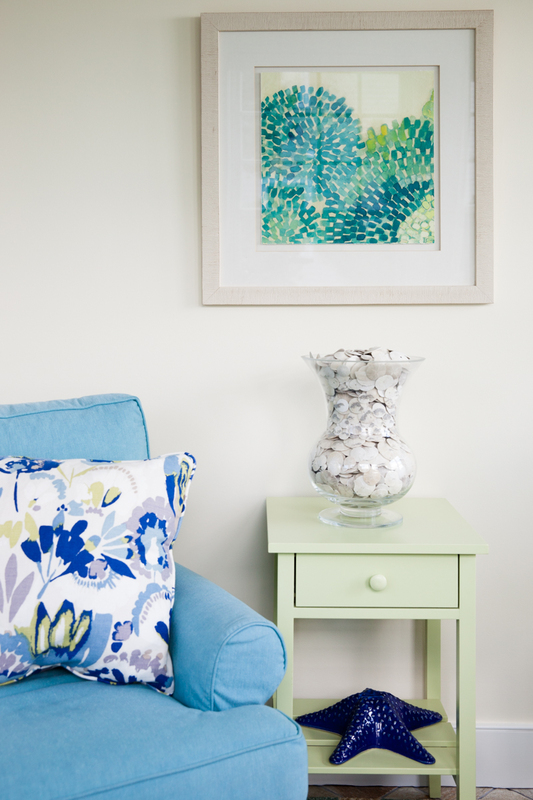 And be sure to check out Quiet Home Paints, Lisa’s own line of organic, non-toxic and VOC-free paints. The colors are beautiful! She even has a line, Quiet Nursery, just for little ones! 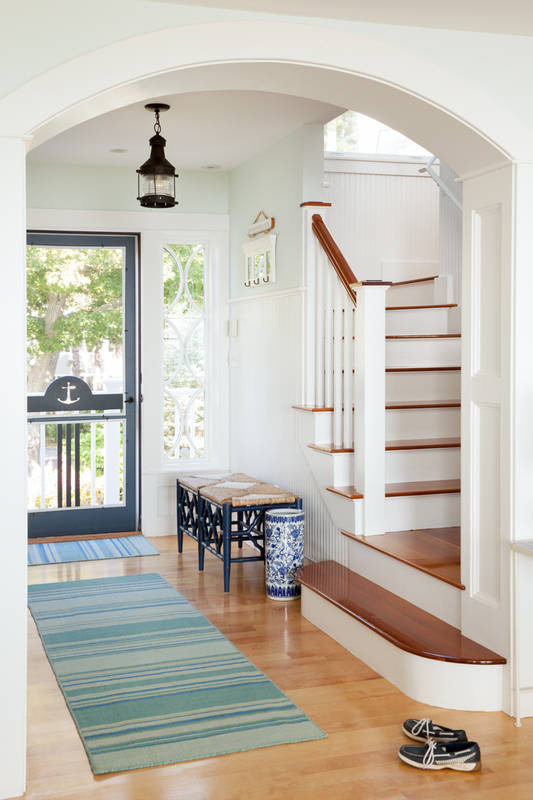 To see my feature on Lisa’s home in New Hampshire, go here! OMGosh! 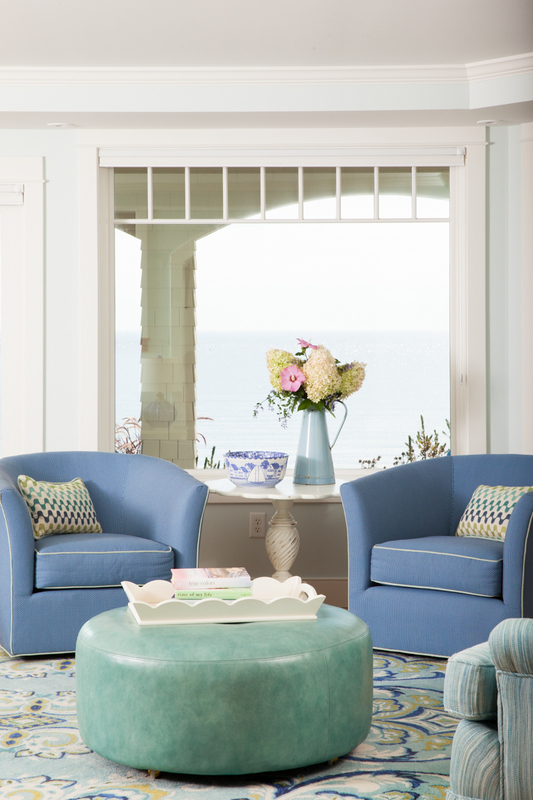 How brilliant (and gorgeous) are those slipcovered stools? 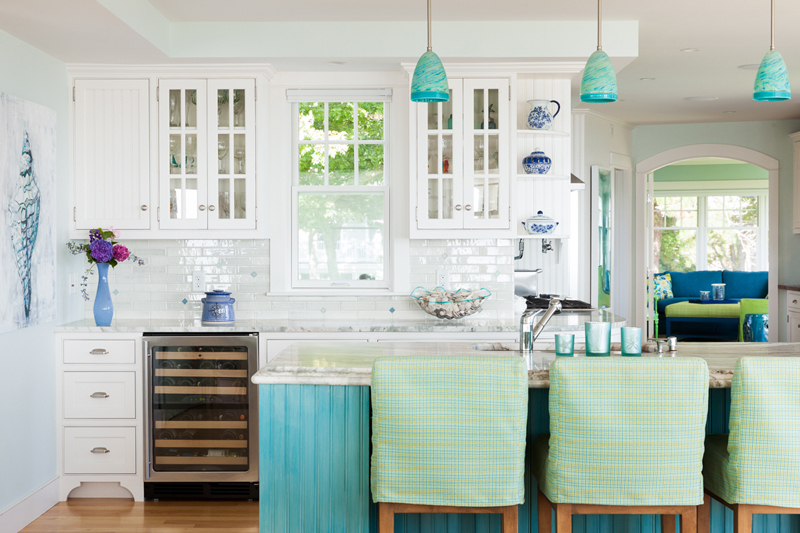 For any busy kitchen – but especially for a summer beach home, where folks OF ALL AGES! lol! come in with their wet, sandy, dirty bottoms! So pretty! This house makes me motivated to add more color to mine! 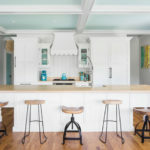 Where can I find these pendant lights ? they are beautiful !! !